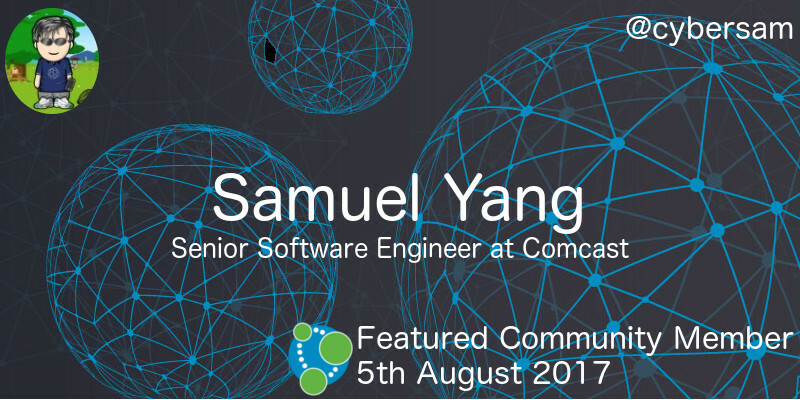 This week’s featured community member is Samuel Yang, a.k.a @cyphersam, Senior Software Engineer at Comcast. Sam is one of the most prolific repliers on the #neo4j tag on StackOverflow and is currently 3rd behind Neo4j employees Michael Hunger and Stefan Armbruster. Sam has answered more than 1,000 questions, showing people how to solve problems with the Cypher query language, optimise queries, and configure their Neo4j servers. 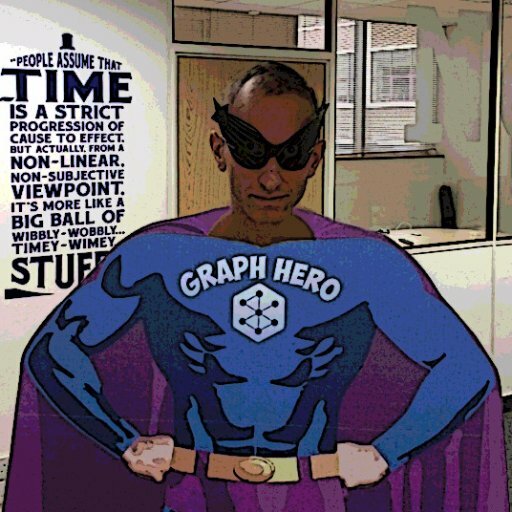 On behalf of newcomers to graphs and Neo4j everywhere, thanks Sam for all your efforts! There were release galore this week so there’s lots of new stuff to get your hands on. Neo4j itself released versions 3.0.11, 3.1.6, 3.2.3, and 3.3.0-alpha05. There is now IPv6 support for clusters and improved support for really large imports in versions 3.1, 3.2, and 3.3. Check the release notes of the individual versions for more details. 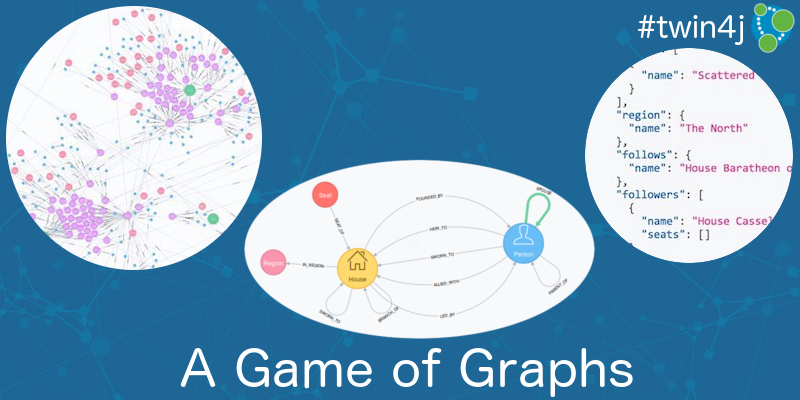 This week also saw the first public release of the Neo4j graph algorithms library. The library contains all your favourite graph algorithms for page rank, betweenness centrality, minimum weight spanning trees, and more. Give it a try and let us know how you get on. Finally we had the first release of the new Neo4j desktop which you can find on the ‘Other releases’ download page on neo4j.com. If you have any feedback there’s a twitter thread you can contribute to. Game of Thrones Season 7 is in full flow and there have been more articles analysing the data as well. Joakim Skoog has created an API of ice and fire, which contains data from all the books and TV episodes. The API was even featured in an article in the Washington Street Journal. If you want to do your own analysis this is the best place to start. Tomaž Bratanič makes immediate use of the new graph algorithms library to try and figure out what’s going on in our favourite imaginary world. Tomaž shows how to use various algorithms to analyse the strength of each House. Michael Hunger has also been busy playing with the dataset and shows how to make the GoT dataset available through a GraphQL endpoint. And if you’re as much of a Game of Thrones enthusiast as us don’t forget to register for our Graph of Thrones online meetup on Thursday, August 17, 2017 at 16:00 UTC. In this week’s online meetup we hosted a Neo4j Bolt Drivers roundtable where Christophe Willemsen, Adam Cowley, and Jasper Blues joined Nigel Small and me to talk about their experiences building a driver or framework for Neo4j. If there isn’t a driver for your language of choice and you wish there was, there’s some good advice on how to get started. Our next online meetup is on Thursday, August 10, 2017 at 16:00 UTC. Marco Falcier and Alberto D’Este will present Neo4j Versioner Core – Versioning your Neo4j graph through entity-state model. My colleague Nir Avrahamov wrote the first part of his series on Machine Learning, Graphs and the Fake News Epidemic. In this post Nir outlines the problem of fake news around the US election and how a combination of machine learning along with a ‘news graph’ might be able to help combat it. In the theme of using Neo4j for security engineering, a post that David Vassallo wrote a few years ago – Getting started with Neo4J and security data analysis – resurfaced this week. In the post David shows how to create a graph based on the firewall logs from a server to see who’s trying to attack it and whether there are any vulnerabilities that need addressing. Ricky Brown created the graphenedb project which provides a thin Ruby layer around the GrapheneDB API. Earlier in the week Graphcool released graphql-cli – The Swiss Army Knife for your GraphQL Project, and Michael gave it a try with his Game of Thrones GraphQL backend. Ali Habib shared his dissertation – AutoReco: A Graph Database Driven Car Marketing and Recommendation System – in which he builds and evaluates an online car marketing system. Ali uses Christophe Willemsen’s graph4php library as part of the project. There were a couple of articles comparing and contrasting graph databases and relational databases this week. Anupama Natarajan focused more on the use cases where each database excels, while Joe Swanson and Gian Luis Delgado compare the two with a product catalog example in Graph Databases: Connecting the Dots. If you have a background in relational databases and want to get into graphs, I’ll be presenting a webinar RDBMS to graphs on Thursday, August 10th at 10.00 BST.